£5 entry includes your glass and two half pint beer tokens. £4 entry for card-carrying CAMRA members. Free entry for non-drinkers and under 18’s if accompanied by an adult. Sixteen real ales. Vote for your favourite beer and win something. Food both days. Burgers, filled cobs, sausage rolls, Clarkes of Queniborough pork pies and ham, snacks, traditional ciders, wine, tea, coffee and soft drinks. Friday 16th Feb 2018 from 7 pm – 12 midnight is pub night, including background music. 8:30 pm Pete’s Music Quiz. No questions, just identify the artists and songs from across the decades. Prize for the winning team. Recommended entry donation of £1 per person. Fun stuff for kids to do until 7 pm. Colouring competition, Connect 4, table football, Jenga, free sweets. 5 pm to 7 pm Open Mic. Bring your instrument and join in. Proceeds to charities including the Queniborough Village Hall Appeal and The Dystonia Society. Join us at the beer festival. Friday night is Pub Night. Try more that a dozen beers and three ciders, with savoury snacks to compliment them. Saturday is Family Fun from noon to 5pm. Bring the kids along for games, puzzles, colouring and sweets! Saturday night is Music Night. Open mic from 5pm, Pete’s music quiz from 7.30pm and live music from Hillbilly Jukebox from 8.30pm. The annual event! The 2015 Queniborough Beer Festival had 17 real ales on offer, all in great condition and sourced from local breweries, the featured County of Yorkshire and others on a Rugby World Cup theme. 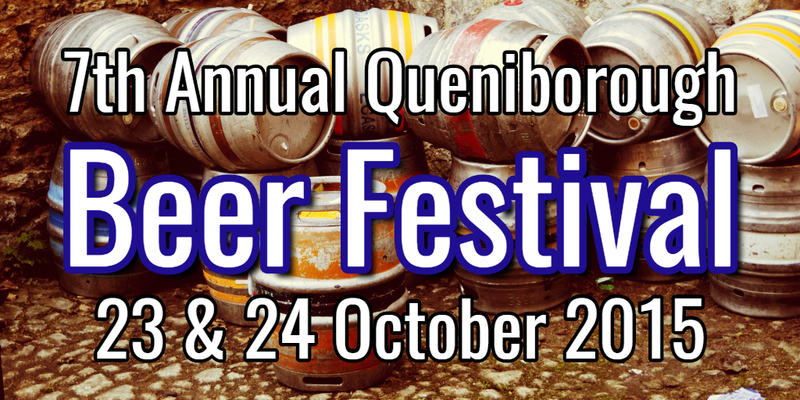 By popular vote of the festival goers, Queniborough’s own (very micro) Q Brewery took the Gold Award again, this time for their Rucking Flanker, the Silver Award for their 4Q and the Bronze Award for their QIPA! The Saturday evening performers were Andy Robins, Ben Jammin and Chris Quinn. The annual event! The 2014 Queniborough Beer Festival had 18 real ales on offer, all in great condition and sourced from local breweries, the featured County of Norfolk and the 2014 Champion Beer of Britain from Yorkshire. 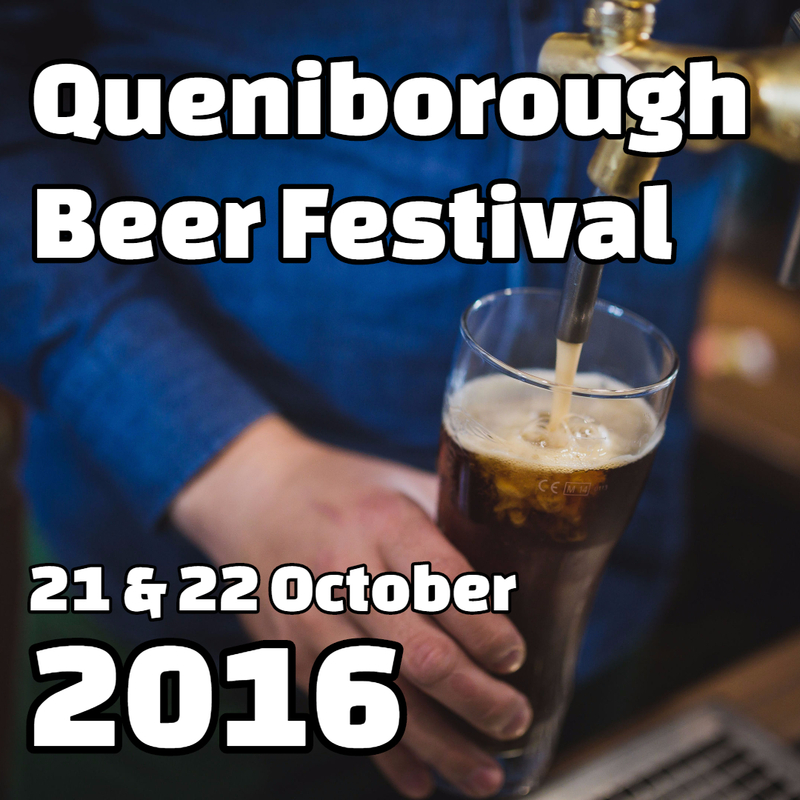 By popular vote of the festival goers, Queniborough’s own (very micro) Q Brewery took the Gold Award for their Q Hop. Charnsters Gold from Charnwood Brewery received the Silver Award and Ridgemere Bitter (again from Q Brewery) the Bronze Award. The Saturday evening performers were Chris Bramley, Becca O’Hara, Jake Manning and Neal Hancox.